Praise for Three Turns! It’s the book we have been waiting for to accompany our healing journey. Thanks for the wonderful gift… a valuable resource for anyone who seeks healing for his or her self devastating thought patterns and behaviors. Are you always working hard helping others and somehow it backfires? You may end up being yelled at, or resenting the person you were helping? Are you too often critical, finding fault, or often unpleasant with those you love? Do you watch helplessly while they slowly become like a stranger to you OR you become a stranger to yourself?" In our personal and work lives, we often experience pain that is coupled with helplessness. We begin to think we are at the mercy of someone else's choices, directions, commands. Most of us unconsciously react to life from a position of victim-hood. Anytime we refuse to take responsibility for ourselves, we are opting to play victim. We then feel like a victim, taking pity on ourselves, and sometimes feeling helpless. 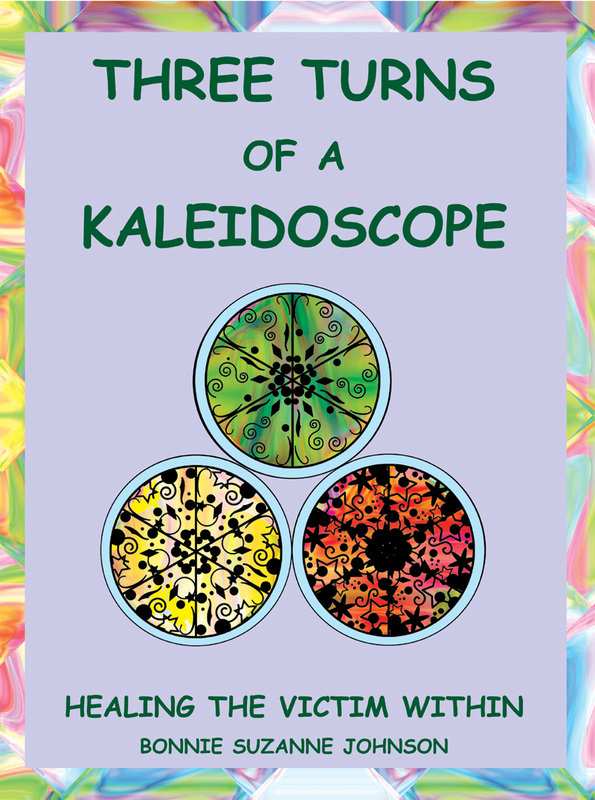 Three Turns of a Kaleidoscope provides information about the behaviors that keep us feeling helpless and hopeless. It examines the different roles of "victim-hood" (victim, persecutor, rescuer) as a dead-end triangular relationship with oneself and with others. Then, it provides a transformative process out of this "going-no-where" triangle and into healthier and healing ways of relating. A gifted and wise healer, Bonnie Johnson brings together a lifetime of experiences and transcends them into wisdom, all for the purpose of helping others to heal. For over twenty years, she has studied spirituality, holistic nursing and healing through the international Healing Touch Certificate Program, Therapeutic Touch Professional Associates, American Holistic Nurses Associations and the Healing Light Center. 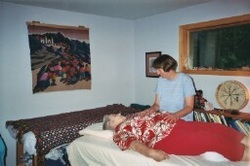 She is a Registered Nurse (New England Deaconess School of Nursing), Certified Healing Touch Practitioner and Instructor, Certified Holistic Nurse, and Master’s prepared Child Development Specialist (George Peabody College); and has studied religion at Scarritt College graduating with a BA in Behavioral Sciences. All this education and experience comes through in this remarkable book.